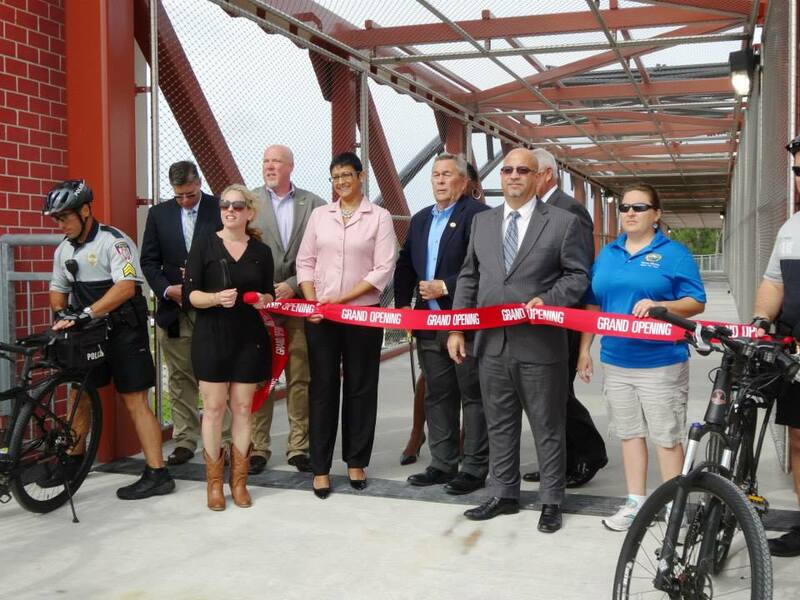 The grand opening of the pedestrian and bicycle bridge in Kissimmee celebrated the imagination and partnership that made this new edition possible. The 220-foot bridge crosses over John Young Parkway just north of Colombia Avenue. It’s one of the final keys in the grand plan for the city’s bicycle path system and connector to the County bicycle network and the Shingle Creek Regional Trail system. Special thanks to the City of Kissimmee, MetroPlan Orlando, and the design team at VHB for their hard work on this project. This new bridge is a great addition to the city. Thank you for making safety a top priority. Check out more photos from the event on our Flickr page. Thank you for visiting BWCF’s website. We are excited to see the City of Kissimmee’s bike/walking trail network continue to expand.